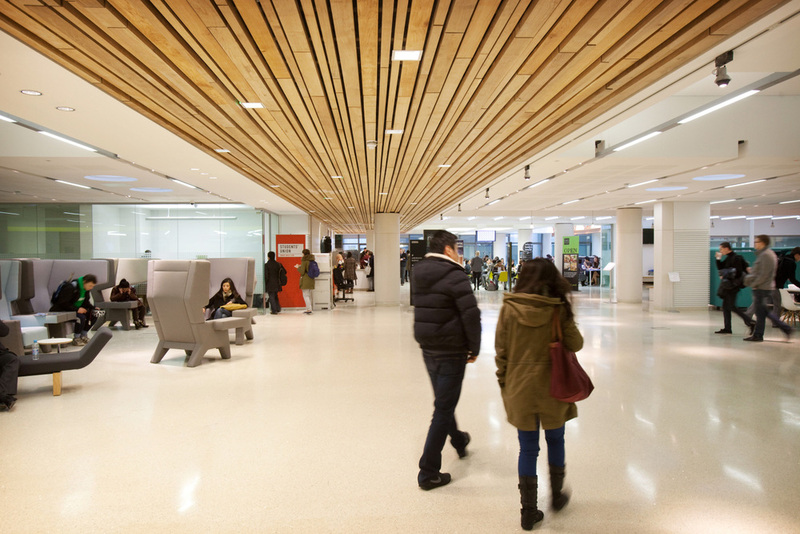 The Marylebone Project sought to transform the University of Westminster's campus in a manner not seen since the building was completed in the early 1960s. Overall the project sets the standard in central London for how a University can respond to the needs of 21st century students. The masterplan is centered on the ‘Learning platform’ concept: a new 1,200m² flexible, high specification and fully integrated social learning environment. Providing a range of formal and informal learning and social spaces to encourage interaction, study and discussion the Learning Platform links to further new and upgraded facilities including a new lecture theatre, seminar and tutorial spaces, library, high quality dining and refreshment facilities, exhibition and administration spaces.